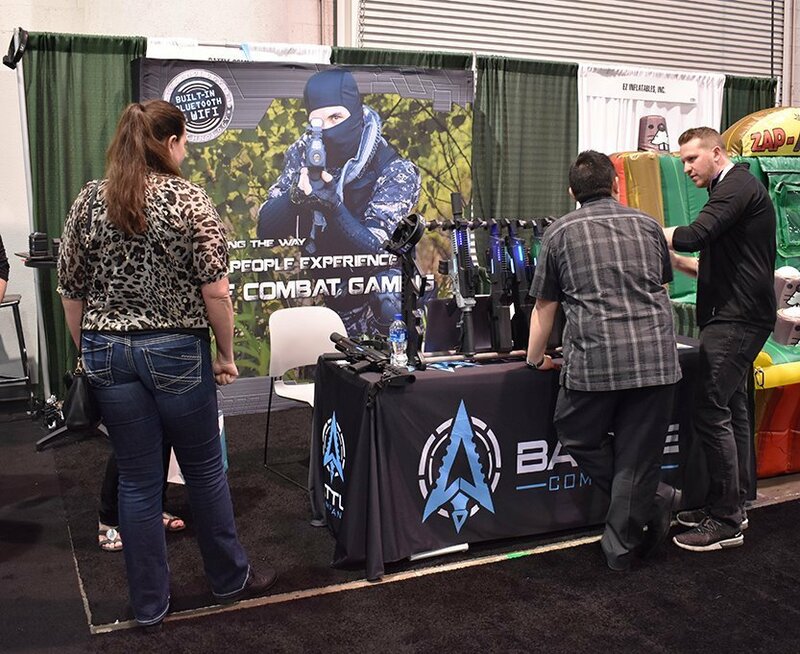 The 2019 Laser Tag Convention was an incredible show for all who attended, according to the organizers. 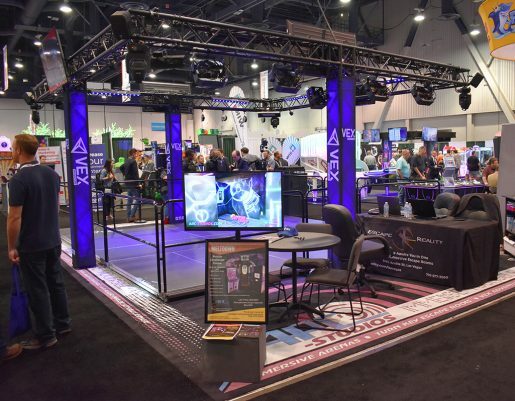 The convention was recently held at the Las Vegas Convention Center in Las Vegas, Nev., where operators, developing entrepreneurs, equipment suppliers, and industry experts came together to attend educational seminars and purchase equipment for their facilities. With 12 seminars divided into two tracks, one for developers and another for operators, attendees were able to network and gain revenue generating ideas to take back with them to their locations. The Zone booth at the laser tag convention. Out of the 12 classes, there were three new speakers, such as operator Sherry Howell from Center Edge Software who spoke on “Training your Trainer.” Mike Carillo from FetchRev, spoke on booking more birthday parties using social media. The third new presenter was Luke Beckwith, manager at Ultrazone in Ft. Wayne who helped operators learn about successfully running laser tag leagues and tournaments. 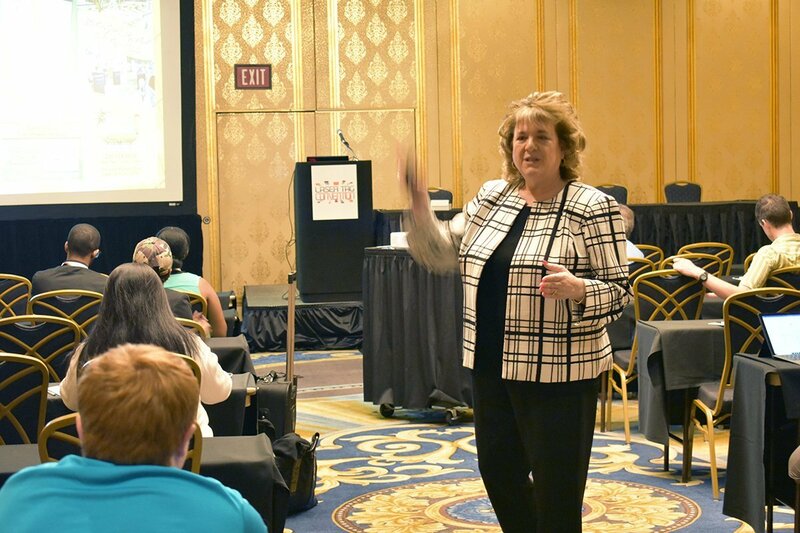 Sheryl Bindeglass from Sheryl Golf spoke about group sales strategies at a laser tag convention seminar. The organizers were proud to have eight returning speakers to its education line up. For developing clients, Frank Seninsky with Alpha-Omega Group came to teach about arcade layouts and redemption profits. Jerry Merola with Amusement Entertainment Management, talked to developers about getting funding for their laser tag projects. Armando Lanuti, president of Creative Works, spoke about bringing arenas to life with design and layouts. Also, Tony Talarico with QubicaAMF talked about what attractions go well with laser tag, and Sheryl Bindeglass from Sheryl Golf spoke on setting up social media for new businesses. Erik Guthrie, curator of the Laser Tag Museum, speaking at a laser tag convention seminar. For existing operators, Ryan Gillenwater, vice president of McGowan Amusement Group, spoke about insurance and dealing with incidents that can lead to higher premiums. Jim Niehoff, owner of Lazertag Extreme in Simi Valley, Calif., talked about escape rooms and how to run them successfully. 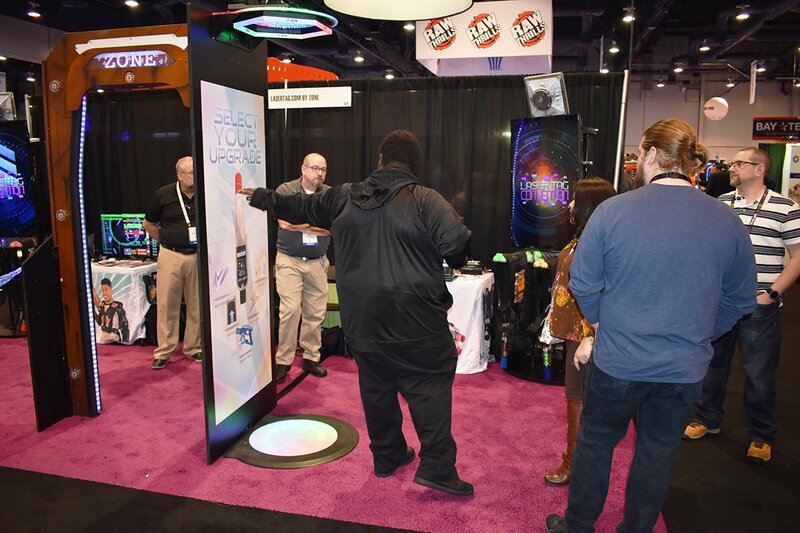 Brandon Willey, CEO of FetchRev, spoke about marketing for family entertainment centers. And Sheryl Bindeglass from Sheryl Golf spoke about group sales strategies. 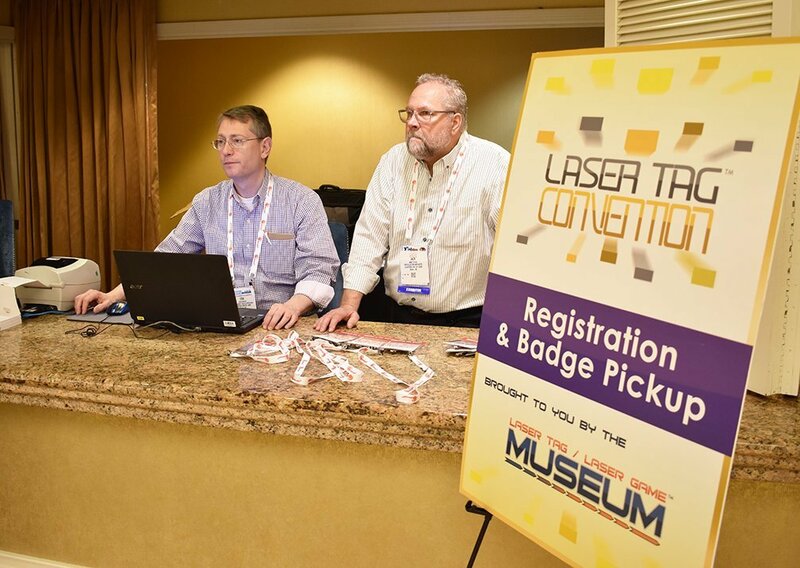 The laser tag convention registration and badge pickup desk. The roundtable discussion was very interactive as operators, developers, and various industry experts shared ideas and strategies while looking ahead to the future of the laser tag industry and the impact of various trends and topics. Erik Guthrie, curator of the Laser Tag Museum, spoke about the evolution of laser tag arenas and how laser tag has been integrating more interactive arena experiences to increase return play. Guests in the reception room at the laser tag convention. 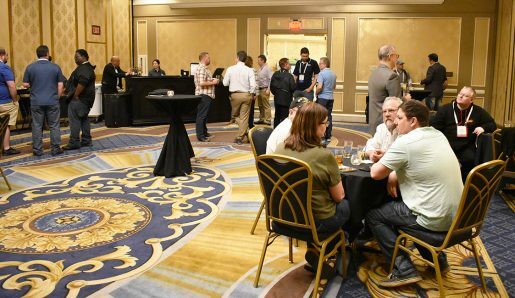 Also, there were drinks and discussions at the Laser Tag Reception, where attendees and speakers were able to chat one-on-one with each other and discuss more topics relevant to their businesses and markets. 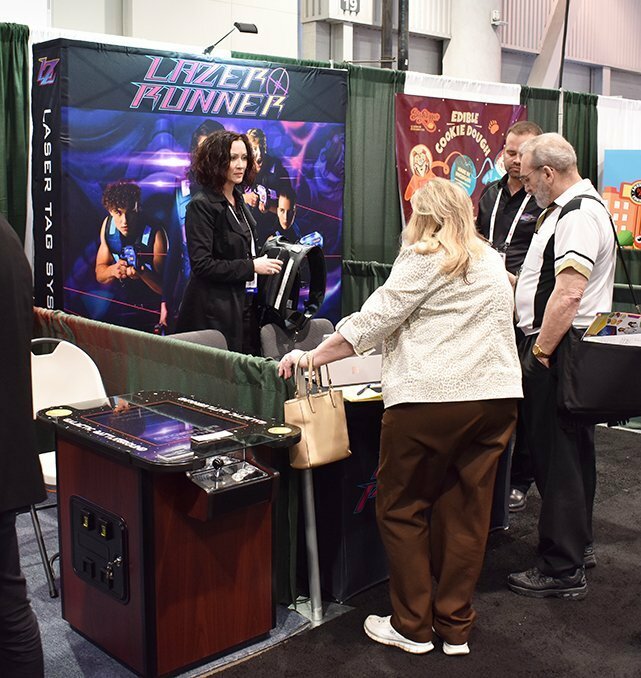 The Lazer Runner booth at the 2019 Laser Tag Convention. 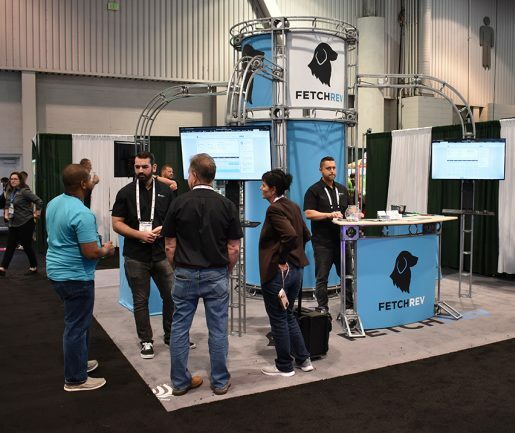 The 2019 trade show had a fantastic turnout from vendors all across North America. The organizers wish to give a special thanks to this year’s convention’s gold sponsors – FetchRev, IAAPA, and Lasertag.com by Zone. The FetchRev booth at the laser tag convention. The company, along with IAAPA and Lasertag.com, was a gold sponsor for the event. The organizers also want to thank the over 100 attendees and buyers who attended the show from all over the world, and they hope many of them will return for next year’s convention in New Orleans, La. The Bat Company booth at the laser tag convention. The Arc Studios booth at the laser tag convention.